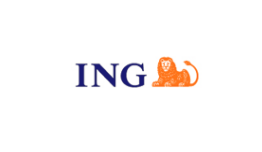 ING Life Insurance Group is a global financial services company of Dutch origin with 150 years of experience, providing a wide array of banking, insurance and asset management services in over 50 countries. Its 120,000 employees work daily to satisfy a broad customer base: individuals, families, small businesses, large corporations, institutions and governments. Based on market capitalization, ING is one of the 20 largest financial institutions worldwide and ranked in the top-10 in Europe. It is a customer-orientated company with a clear organization and strategy which is founded on value based management. ING has a strong position in mature markets where the company wants to generate further growth through proper execution of its business fundamentals (such as customer satisfaction and managing costs, risk and its reputation) and it focuses on growth in retirement services, direct banking and life insurance in developing markets. That way ING tries to offer its shareholders a higher return than the average of its peers.